Many people do not know the difference between factoring and invoice discounting given the many similarities that exist between them. Both are ways of getting cash within a short time through the selling of account receivable to 3rd parties (usually finance companies). Other similarities that are shared by the two financing options are that no assets are required as security, the main purposes for these financing options are to solve cash flow problems and to expand a business, and you will be able to negotiate discounts when invoices are paid promptly. Yet other similarities are that the greater the turnover, the greater the funding levels, there is competitive pricing of both types of financing, and your provider will offer valuable business advice over and above availing the funds you need. Knowing the difference will help you pick the best option. There is a credit control function that comes midway through the transaction with factoring arrangements given that money is advanced against monies that are to be paid. The chasing of customers and other credit control tasks to ensure there is payment is given to the provider of the finance. On the other hand, a business is able to manage its outstanding payments and clients with invoice discounting. This means invoice financing is best suited for large businesses that have in house credit control systems and a high turnover. Start-up and small businesses are best served by factoring. There is a difference between the two in that customers are not aware that the lender is involved with invoice discounting while customers are made aware of invoice payments given factoring is a disclosed arrangement. With factoring, the business gets collective services, full sales ledger and other value added services. These services are not available with invoice discounting. For every submitted invoice, your business will get up to 85% of the value of the invoice submitted. This is a great facility for people who want improved cash flow. With invoice discounting, the funds provider has to check the business, its customers, and its systems before giving out money. On ascertaining that the business is capable of honoring its commitments, the invoice discounting company agrees to pay out a particular percentage of the value of the invoice that is outstanding. With a factoring agreement, your business with completely assign and sell the entire rights to the invoice that is submitted. An invoice is not sold or assigned under invoice discounting. It is just used to raise funds against it or several invoices. You will spend less money with invoice discounting. Factoring facilities are more expensive because the role of collection has been outsourced. The collection of the invoice is done by the business with invoice discounting. There is a risk that a customer may not feel comfortable knowing that a 3rd party is involved with factoring facilities, but this is not a problem with invoice discounting. Your customers will have to pay the factoring company directly with factoring facilities, but they will pay your business as normal with invoice discounting. </P> <P>You are more likely to quality for invoice discounting if you can demonstrate that you can trade positively, that your asset position is positive, and that you do not have major issues with your creditors. The bar is much lower with factoring. Factoring and invoice discounting financing options are popular in the recruitment, manufacturing, printing, wholesale, construction, and courier industries. 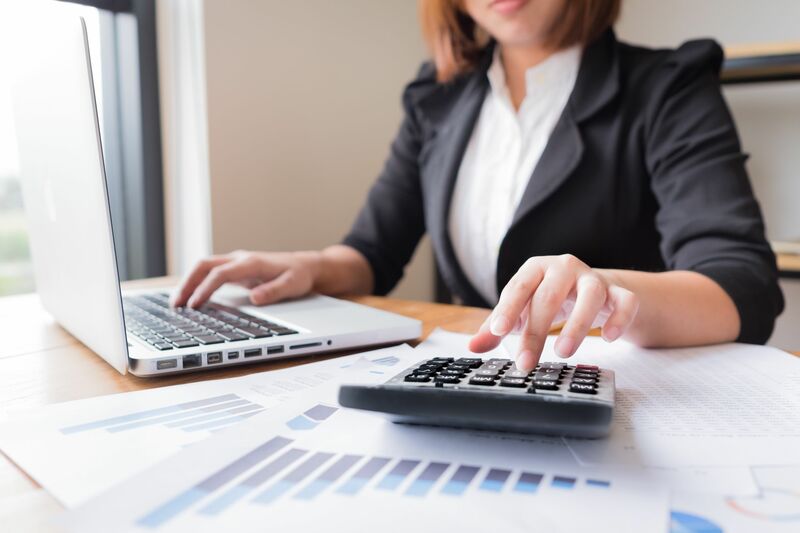 When picking between factoring and invoice discounting, consider such factors as the competence of the employees in your collections area (if you have them), the workload at the company, and the size of your unsecured receivables portfolio.